Dr. Rodriguez received a bachelor degree from Cornell University in mathematics in 1993 and his doctorate of veterinary medicine from the University of Florida in 1997. 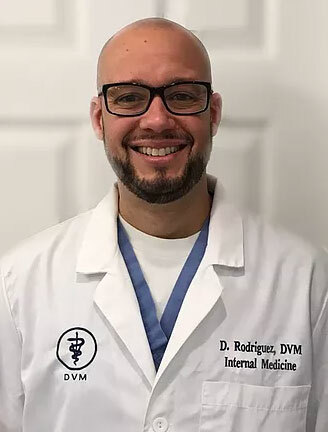 Dr. Rodriguez headed back north to Boston where he completed a one-year internship in medicine and surgery at Angell Memorial Animal Hospital. After 2 years in general practice he completed a three-year residency in small animal internal medicine at Mississippi State University and became board certified in small animal internal medicine in 2003. Dr. Rodriguez practiced at two large referral practices in Cincinnati and Philadelphia until he formed his own specialty group in Lancaster in 2012. Lancaster Veterinary Specialties (LVS) now serves as the only full-service specialist owned referral practice in Lancaster and surrounding counties west of Lancaster. Dr. Rodriguez feels very fortunate to have the privilege of being surrounded by an incredible group of specialists and veterinary nurses that serve the community with passion, love, and a family mentality. Dr. Rodriguez and LVS treat every referred person and pet as if they are part of our own family. Dr. Rodriguez’s interests within the discipline of internal medicine are broad and include endocrinology, hematology, oncology, cardiology, and infectious disease. He has published articles in several professional journals and has given talks at both the local and national levels. Dr. Rodriguez performs numerous specialized procedures which include but are not limited to gastroduodenoscopy, colonoscopy, rhinoscopy, bronchoscopy, cystoscopy, abdominal ultrasound, echocardiography, contrast radiographic studies, PEG tube placement, ultrasound guided biopsies, and bone marrow aspirates/biopsies. When not serving clients and patients, Dr. Rodriguez spends as much time as possible with his wife of over 25 years and three children. Important members of Dr. Rodriguez’s family also includes his dog and chickens. Sarah Dowling DVM DACVIM, is thrilled to offer compassionate and comprehensive Internal Medicine services at Lancaster Veterinary Specialties. 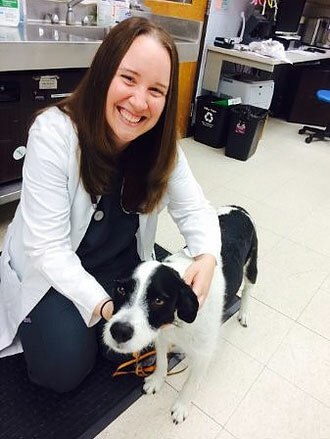 She began her veterinary career with her DVM degree from the University of Illinois Champaign Urbana in 2011. In 2012 Dr. Dowling completed a rotating internship at the University of Minnesota. Continuing her tour of the Midwest, she then went on to complete a 3-year residency in small animal internal medicine at the University of Wisconsin Madison campus. After becoming board certified, Dr. Dowling came to the east coast and has been setting down roots in Lancaster since her arrival in 2015. Dr. Dowling has a true passion for internal medicine, her patients, and their owners. She enjoys working closely with family veterinarians to provide seamless care for her patients. Dr. Dowling provides comprehensive internal medicine services for a wide range of health concerns using non-invasive or minimally invasive diagnostics to give you and your pet the answers you need and deserve. At the time of an internal medicine consultation Dr. Dowling will formulate a plan that works best for your pet and your family after a detailed history, examination, and review of your family veterinarian’s records. Currently Dr. Dowling is renovating her farm house in Lancaster which has been an adventure. In her free time when she is not working on her home or gardening she loves to explore the beautiful countryside surrounding Lancaster with her dogs, Dexter and Corbin. She also has 2 cats, Mia and Delilah, who enjoy lounging in the bay window and grooming themselves in full view of the neighbors. She is very excited for the future at Lancaster Veterinary Specialties and for the opportunity to continue to provide the highest level of internal medicine care to you, your pets, and your family veterinarians! Dr. Matthew Krecic has been board-certified in small animal internal medicine since 2001. He received his veterinary degree at The Ohio State University and received training in small animal internal medicine at Auburn University and Mississippi State University. In fact, Dr. Krecic and Dr. Rodriguez crossed paths at Mississippi State University and have been friends since. 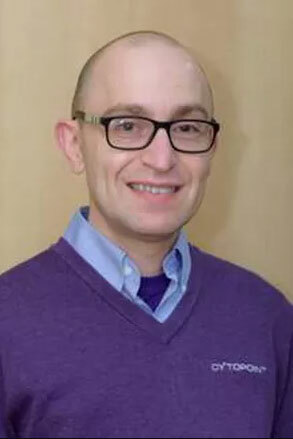 Dr. Krecic has been a faculty member at the University of Pennsylvania College of Veterinary Medicine and has worked and continues to work in the animal health pharmaceutical and diagnostic medicine industries. Prior to joining Lancaster Veterinary Specialists, Dr. Krecic evaluated patients in Fort Lauderdale, FL. Dr. Krecic is excited to offer his expertise and compassionate care at Lancaster Veterinary Specialties. Dr. Krecic provides Saturday coverage at LVS. Dr. Krecic is on the editorial board of the Journal of Veterinary Diagnostic Investigation wherein he reviews peer-authored manuscripts for publication and he is an at-large board member of the American Association of Industry Veterinarians. Dr. Krecic's focus is in endocrinology, feline medicine, and infectious disease. Dr. Krecic considers himself a news-junkie and in his free time loves reading non-fiction. He has a 12 year old cat named MeiLing.